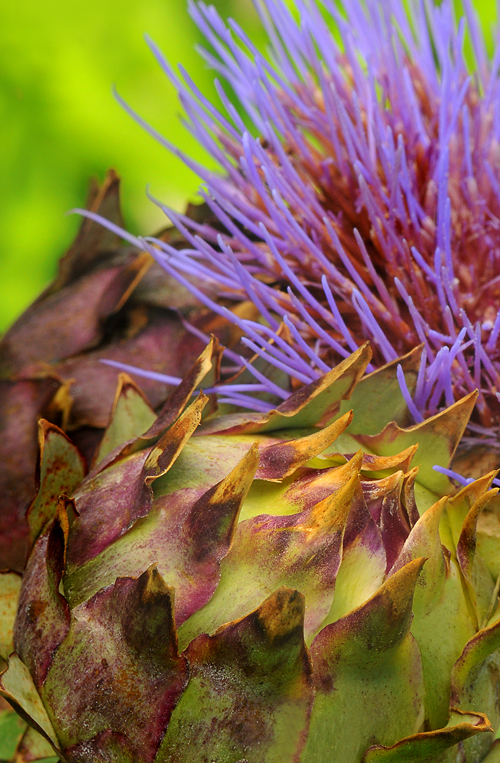 The Globe Artichoke (Cynara cardunculus) is a perennial thistle. If the buds or “globes” aren’t harvested, six-inch bluish-purple thistle-like flowers will form. 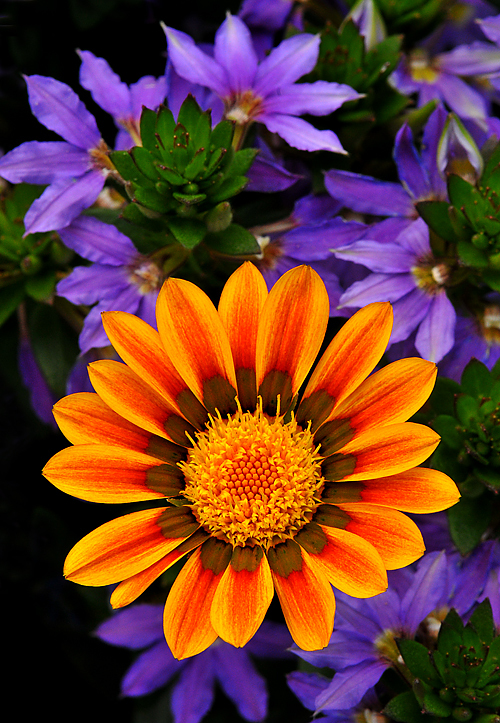 This is an abstract closeup shot of two unopened buds and one flowering bud. 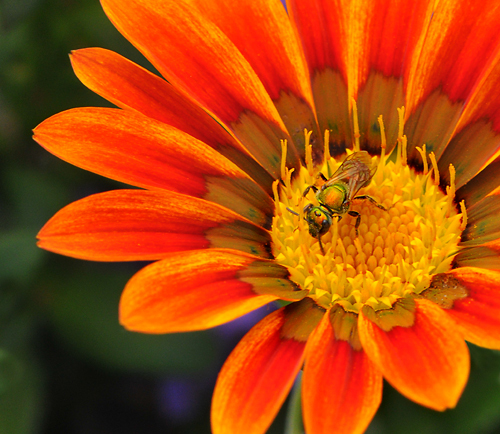 Bees are especially drawn to the flowers. 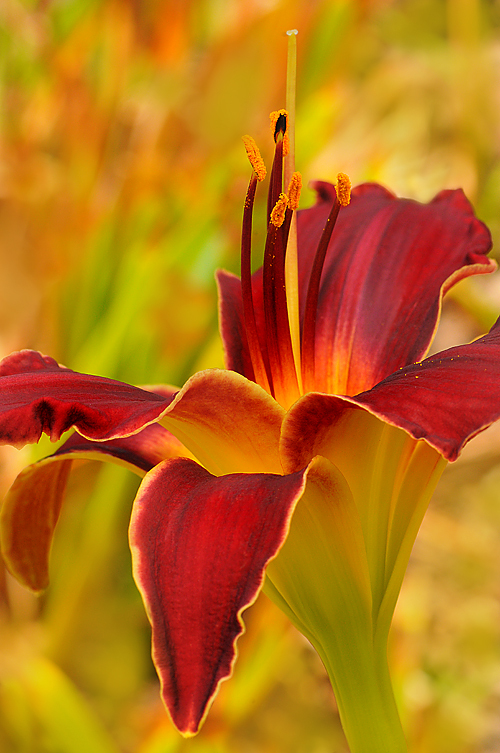 I love the way the bokeh of the grasses makes the background looks so painterly. Serendipity! GREAT PHOTO TIP! 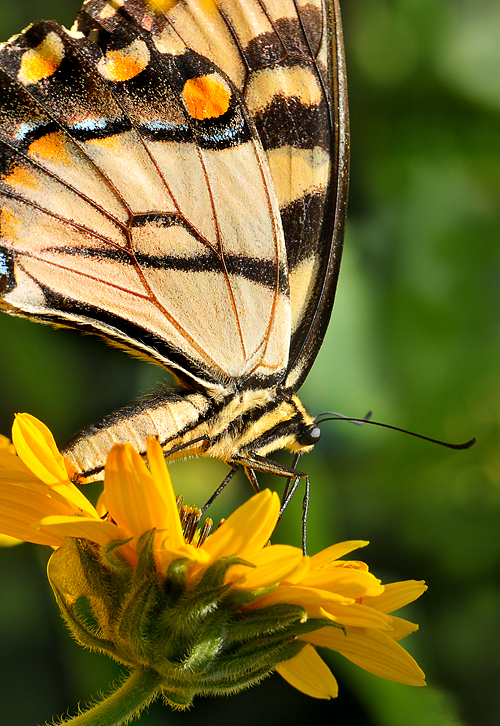 Here’s a butterfly photography trick I learned from my friend Mary Ellen a few years ago. 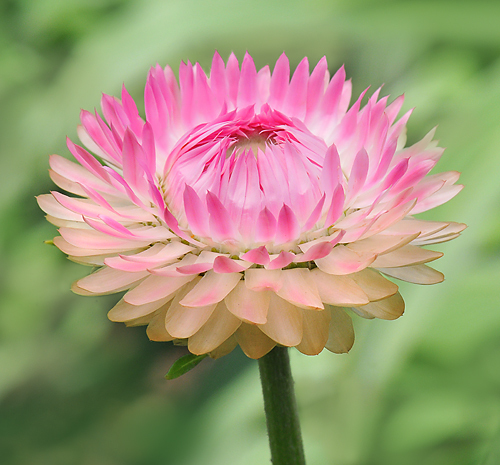 Wait until the butterfly has it proboscis inserted into a flower and it becomes completely distracted by the task at hand—then move in closer, staying as still as possible. 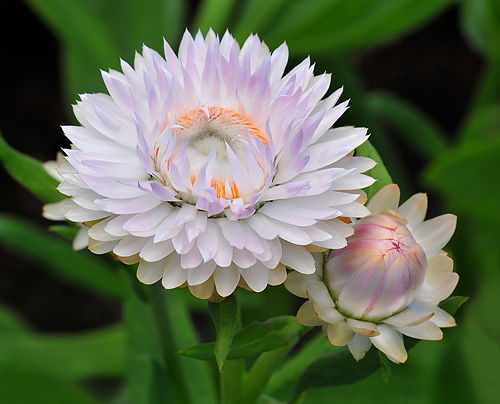 I think this is a type of strawflower, hybrid unknown.